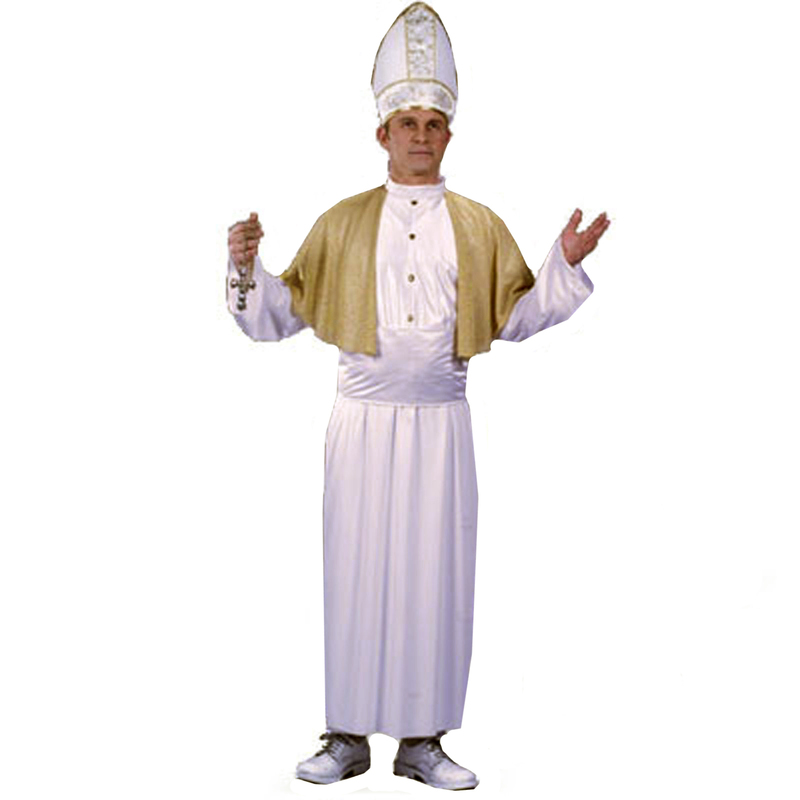 Size: Standard One-Size, Color: White, Name: Pope Adult Costume is currently out of stock! 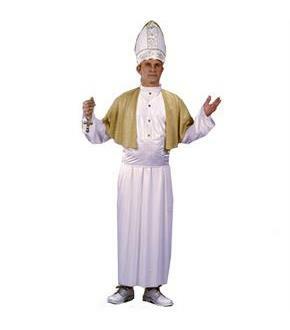 Includes: robe, attached clerical collar, lame capelet, waist sash, and matching mitre hat. Cross not included.